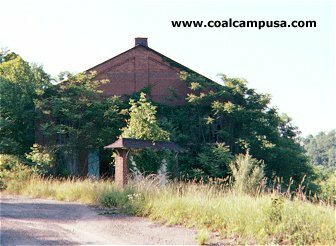 The Nemacolin patch was built by the Youngstown Sheet and Tube Co. as their captive mine in 1917-18 and operated as Buckeye Coal Co. This was a nice company town, with a theatre, tennis courts, amusement hall, and swimming pool. 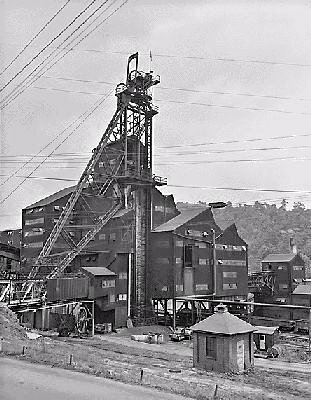 Nemacolin was said to be the largest coal mine in the U.S. in 1919, and it was Greene County's second most productive mine in the 1940s. After nearly 70 years of production the mine was idled in 1986 and probably sealed in 1988. 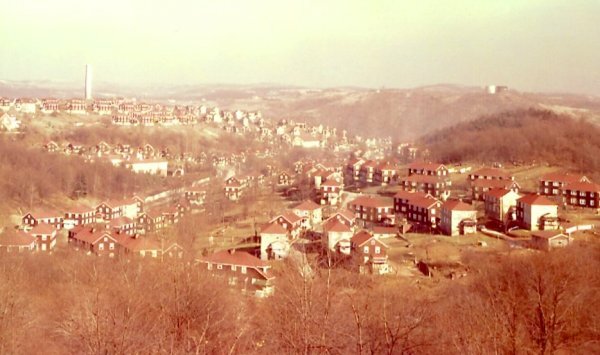 The town is located about a quarter of a mile from the mine and reflects the same careful engineering that was demonstrated in the construction of the plant. It is situated on a hill above the mine with a view of the river and surroundings. 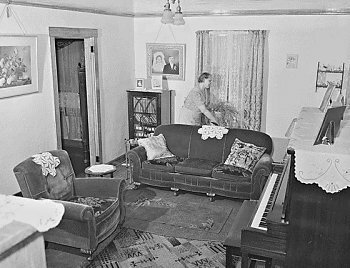 One hundred and twenty houses of the bungalow type have been built; the majority of which are occupied. The designs of the houses are numerous and each is equipped with running water, electic lights, inside toilet, bath, and laundry. 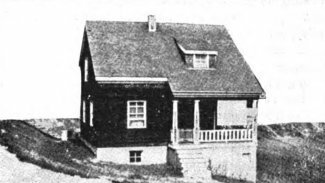 The houses are of frame construction with a deep brown stain on the weather-boarding caused by a creosote treatment. The walls are plastered and tinted. One of the features of the living room is an attractive open fireplace. 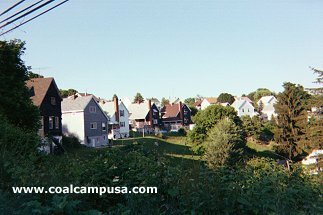 The streets are laid out to conform to the contours of the hill which leaves no two houses on the same elevation and produces an effect different from the houses found in most mining communities. The streets are graded and have a crushed sandstone surface. A closed sanitary sewerage system, which conforms to state regulations, has been constructed which carries the waste from each house by gravity to a concrete disposal plant located near the fanhouse of the mine. At a spacing of 500 feet apart throughout the town are located small brick and frame buildings, which cover a double-outlet fire plug. About 250 feet of hose is placed in each of these buildings and furnishes adequate protection against fire. A school building, constructed in an E-shape, of brick, concrete and stucco is nearing completion and is modern in every respect. The rear wings are so designed that an addition can be made when the town has grown to an extent that will demand greater accomodations. Domestic science and manual training are part of the educational plan. 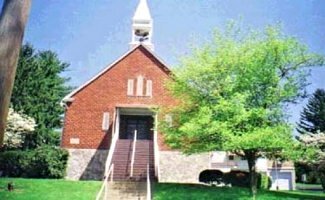 Protestant and Catholic churches are being erected, and a modern frame hospital is located near the mine, which gives ready and efficient service to any men that may be injured. A company store is also maintained in a building temporarily. The completed store building will be a combination store, community theatre and recreation room. The theatre will be used for moving pictures primarily and has a seating capacity of about 600. 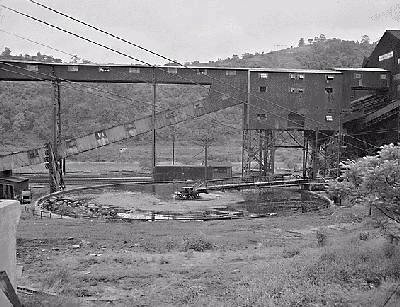 The coal obtained from development work was dumped on a storage pile nearly 35 feet high until over 200,000 tons had accumlated. Two steam shovels operating by compressed air are loading the coal into small cars which are hauled by a locomotive to the river and dumped into barges. 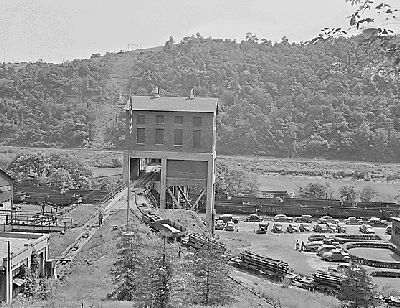 The barges are towed to the works of the Carnegie Steel Company at Clairton, Pa., which uses the coal in the largest by-product coke plant in the world. 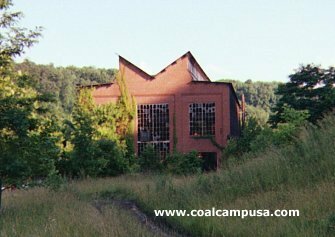 [This is strange, because Nemacolin was a captive mine for Youngstown Sheet and Tube.] The main hoisting shaft is a three compartment concrete lined 30x50 foot shaft, 240 feet to the coal. It will be sunk 50 feet below the coal, and two 15 ton skips will hoist the coal. The skips will automatically load at the bottom and dump at the top of the shaft. As the skip reaches the bottom it opens the coal chute and fills while the skip at the top is dumping. 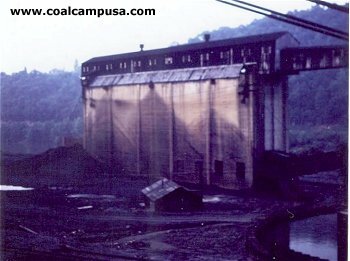 The bottom skip after being loaded raises and closes the chute..."
Nemacolin was only one of several large coal mines that surround Carmichaels Borough. 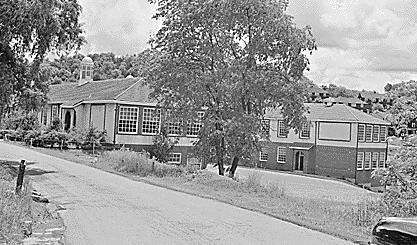 Others included Gateway, Crucible, Mather, Emerald, Dillworth, Cumberland, and especially Robena. These were all major, large scale mines in the Pittsburgh seam, and they are all closed now. 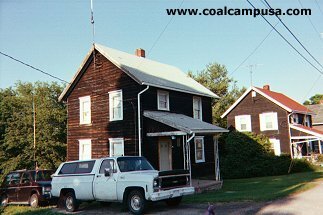 But you can still experience the coal heritage of the region at the annual Bituminous Coal Festival every August in Carmichaels. I went to it once: They had a parade, someone was crowned Bituminous Coal Queen, and the fire hall was filled with mining memorabilia, MSHA safety exhibits, and vendors like Joy machinery.